If you are 40 years or older, this is a great class for your entire body using weights, resistance bands, stability balls, and body weight exercises. A good class for those with arthritis to keep you moving. The exercises are scaled to your ability and the teacher can accommodate any injuries you may have. 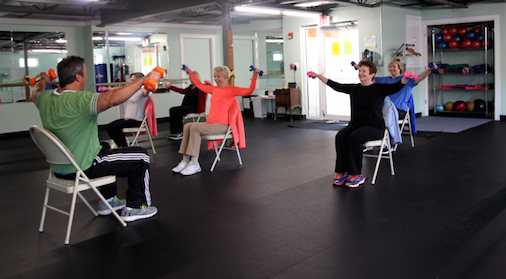 This class will improve your strength and bone density as well as working on your balance.